I am running a RC8.2 Nitro with a OS .21 XZ it has a Jammin JP-4 pipe. Is that a good pipe or should i get a OS 2090 pipe.. 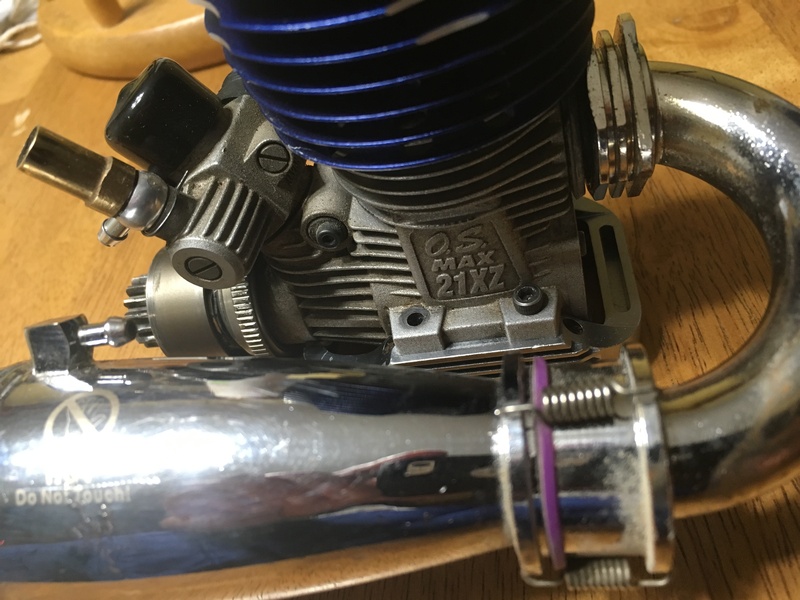 I have read the 2090 pipe is the best for performance for the .21 XZ Max.... My engine runs great and has plenty of power it does seem it is louder than the last RC8 Nitro i had.... I dont really like the look of the pipe i have eather.. The JP4 will serve you well. Yet for racing, when you are trying to get the best tune, and fuel mileage a 2090 will be best. Also what .21 XZ? the B, or B version II? look in the BST forum, might find a used one. How can i tell what version i have?? Sorry for some reason I can’t upload a second picture.. It appears to me that you have version one of the XZB blue which is a great engine. The Version 1 had the three needle carb and had plenty of power for me. I also had the JP4 pipe and that is a great pipe for your engine. My current XZB blue head has the newer 2 needle carb and I have not run it yet. I have it mounted in my brand new TD DNX8. I think the JP series pipes are fuel hogs... just my opinion. Ill take the 2090 over it any day. Winner's Circle, 8T, 1/8 IC Fan and 1 others like this.